At the same time, #Beijing is renewing its attempt to #eliminate #religion country-wide. 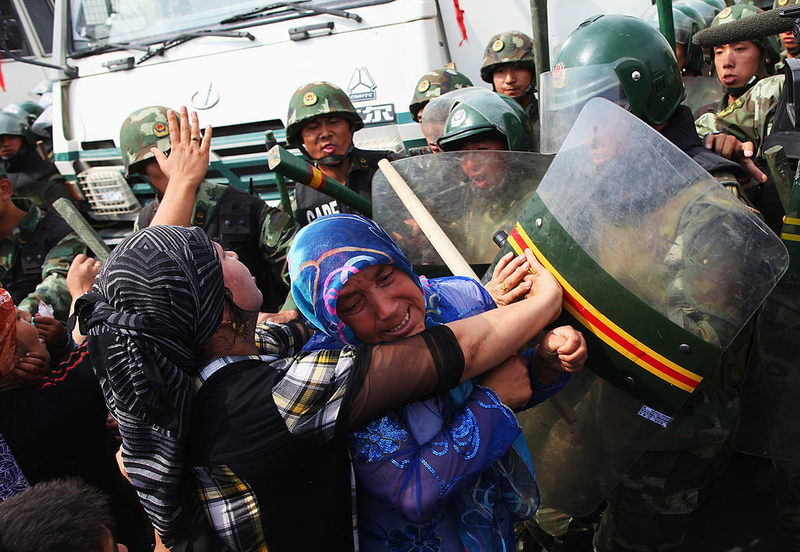 #Christians have come under even greater attack across #China, as have #Buddhists. China's ruler, #Xi #Jinping, demands that the five recognized religions — official recognition is a control mechanism — "Sinicize." The Chinese, as a part of this ruthless and relentless effort, are destroying #mosques and #churches, forcing devout #Muslims to drink alcohol and eat pork, inserting Han officials to live in Muslim homes, and ending religious instruction for minors. These attempts, which have antecedents in Chinese history, have been intensified since Xi became the #Communist Party's general secretary in November 2012.